"Who ya gonna call? BOT Busters!" 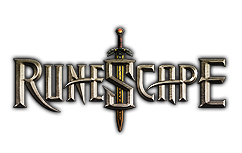 is the new mantra of the RuneScape team as they tirelessly work to take out scammers, bots, exploiters and other nefarious folk from their game. In his latest article about RuneScape, MMORPG.com'sm Tingle reports on what the team revealed about its bot-busting plans during RuneFest. "The protection is called Cluster Flutterer - you have to be careful how you say that" everybody I have spoken to has raised a cheeky smile at the linguistic links between this name and the rude sound-alike.RuneScape gold. Sat in the middle of a fairy forest, perched upon a comfy mushroom and resting my notes on a delightful grass coffee table, I am speaking to Jagex COO Daniel Clough.